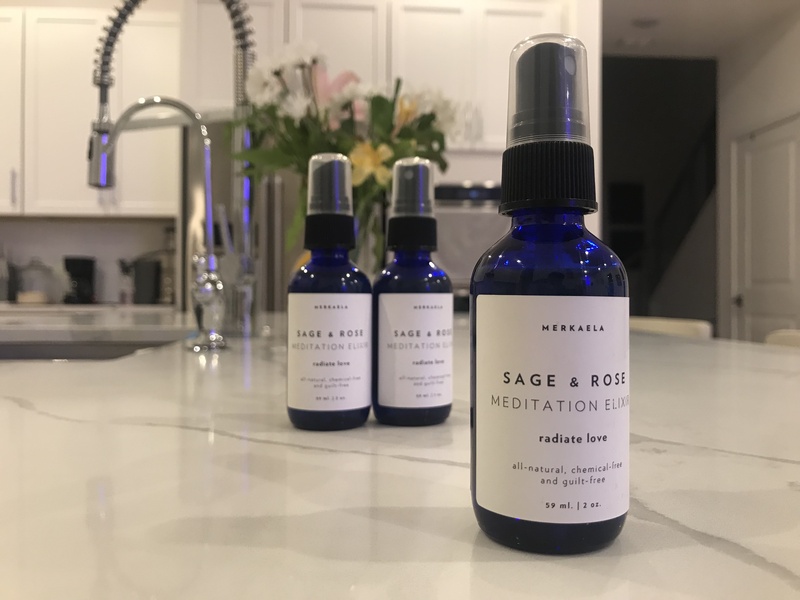 Stimulate senses with our magical Sage & Rose meditation elixir. Infused with powerful ingredients to inspire feelings of love, beauty & creativity. Spray it anywhere to instantly clear your aura and create a calming sacred space. Best used with your affirmation during a meditation practice. To deepen your meditation practice spray anywhere in the room, in the crown of your head, heart space, or anywhere you feel called to. Ingredients: Purified water,Sage & Rose Essential oils, Himalayan salt, Alcohol, Moon energy.